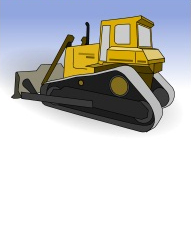 Clark Contracting Limited offer an earth moving and overburden service to quarrying operatives, cement manufacturers and civil engineers using heavy plant including excavators, dump trucks and bulldozers manned by our own qualified and experienced operators. We offer a comprehensive and reliable service to our customers throughout Bucks, Beds, Berks, Herts, Middlesex, London and Oxon. Our fleet of plant is constantly updated and renewed to give the best possible choice of reliable and productive equipment. Clark Contracting Limited use only the most technologically advanced equipment from manufacturers such as Volvo, Caterpillar and JCB. 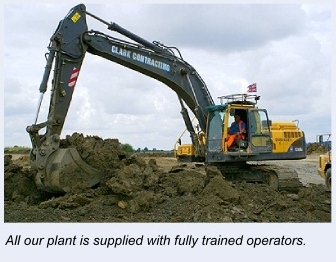 Our experienced plant hire team have been trained in all aspects of our equipment and statutory obligations. With our flexible approach we offer a service for long term fixed contracts through to short term hire with fast deployment guaranteed. All the above mentioned plant is supplied with fully trained operators.